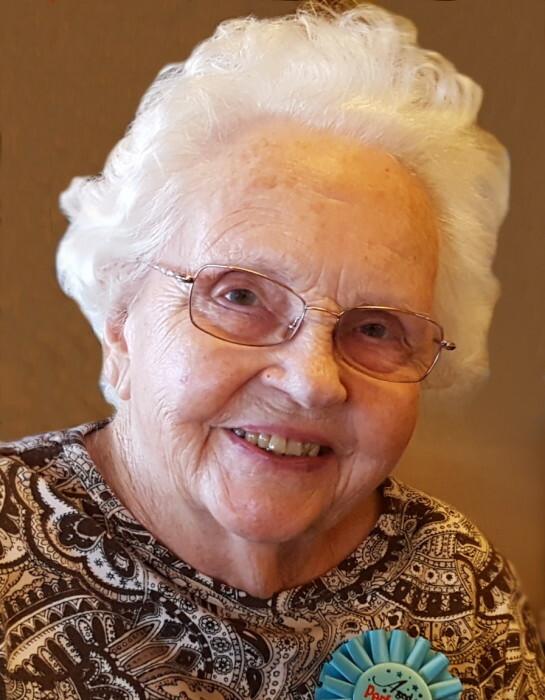 age 100, passed away Friday, January 25. June was a life-long resident of East Canton having retired from the Osnaburg Schools in 1978. She was the daughter of Ralph and Clara Varian of Varian Orchards outside East Canton. She was a 1935 graduate of East Canton High School and 1939 graduate of Otterbein in Westerville, Ohio where she earned a degree in Music Education. She married Marion Snyder, also from East Canton on June 25, 1942. She was known in East Canton as “The Music Teacher” and in that capacity introduced generations of students to the world of music and square dancing. Following her retirement, she enjoyed traveling and spending winters in south Texas. She was an avid bird watcher and enjoyed the outdoors. June was a member of St. Paul’s Community Christian Church (formerly St. Paul’s United Church of Christ) in East Canton. She was preceded in death by her husband of 56 years, Marion C. Snyder in 1998; by her brother, Kenneth Varian; sisters-in-law Helen Davis, Jean Snyder, and Virginia Varian; brothers-in-law Delmer Davis and Lester Snyder; and one son Lynn Keith Snyder. She is survived by two sons Kyle and Janet Snyder of Elyria, Ohio and Pastor Lon and Sue Snyder of Kent, Ohio; and one brother Victor and Joanne Varian. Friends may call Monday 4-8 pm or Tuesday 10-11 am at the Sanders Funeral Home in East Canton. Funeral services will be 11:00 am on Tuesday with Pastor Lon Snyder officiating. Condolences or fond memories may be shared online at www.sandersfuneralhomes.com.